Item # 319335 Stash Points: 5,495 (?) This is the number of points you get in The Zumiez Stash for purchasing this item. Stash points are redeemable for exclusive rewards only available to Zumiez Stash members. To redeem your points check out the rewards catalog on thestash.zumiez.com. Hustle everyone at your local park when you skate the Hustle 8.06" Skateboard Deck from DGK. 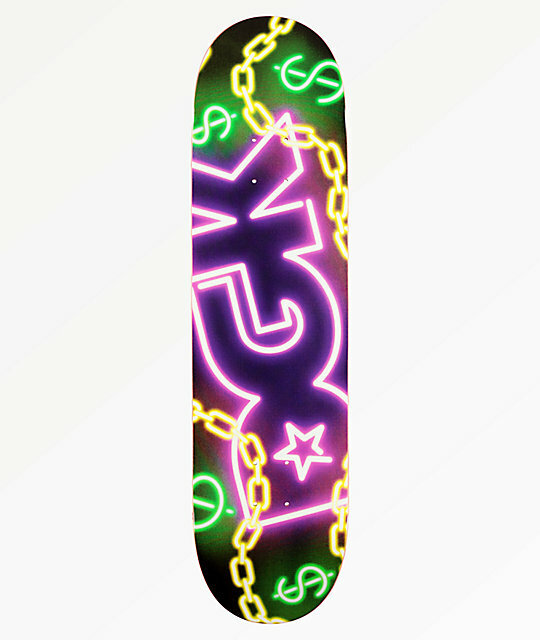 This skate deck from DGK features glowing DGK graphics on a black background on the underside for a signature look. The 7-ply maple construction keeps things durable, for a deck that will take you from street-spots to skateparks with ease. 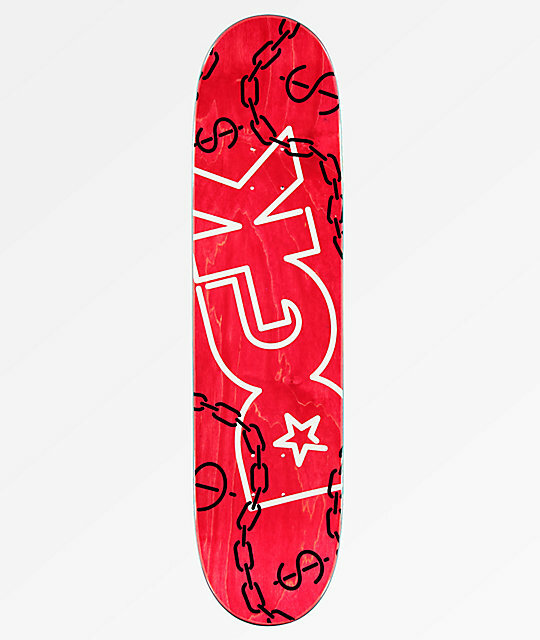 Hustle 8.06" Skateboard Deck from DGK.